The situation in Haiti and the peacekeeping operation there are unique. The reason for this uniqueness relies mainly in the fact that the peacekeeping operation that started in Haiti in 2004 had, as its main challenge, to deal with criminal organizations. Unlike other missions that were dealing with politically motivated movements fighting the government (MINUSMA in Mali), or where there are military confrontations between two or more countries (UNDOF in the Golan Heights), in Haiti threats were posed by criminal organizations, leading to different risks and therefore to differences in the way these hazards are to be combatted. Because of this, it is worth studying and understanding how the threats posed by criminal organizations in Haiti influenced the Protection of Civilians activities led by the United Nations Stabilization Mission in Haiti (MINUSTAH). Juan José Riva is MSt. Second Secretary, Embassy of Uruguay in Iran. Haiti was the first independent country in Latin America and the Caribbean. However the level of violence and instability made it one of the least stable and poorest countries in the region.Bethell, Leslie. History of Latin America, Grupo Planeta, 2000. From all the reasons that led to the current situation of Haiti, this article will intend to brief on how was MINUSTAH dealing with the threats posed by organized crime in the field. It is worth mentioning that the French colonial presence that came to an end in 1826 (even after the independence in 1804) was followed by the United States action, justified on the basis of the Monroe Doctrine between 1915 and 1934. The extended foreign presence on the island left scars on its population, which could be reflected in the animosity of the locals towards the action of the United Nations once MINUSTAH was deployed in 2004. Moreover, in order to understand modern politics in Haiti, the Presidency of Francois "Papa Doc" Duvalier between 1957 and 1971 deserves a special mention. After a decade of instability and several Chiefs of State, Duvalier took office in 1957 and governed in a dictatorial way, closely supported by the United States. In 1967 he proclaimed himself President for life and upon his death in 1971, his son Jean Claude Duvalier (Baby Doc) took office and governed until 1986. Papa Doc´s government was strongly related to paramilitary groups, or gangs. He formed criminal gangs called Tontons Macoutes, operating as shock troops with the double objective of repressing dissent and insulating the President from an army coup such as those that had ousted previous Haitians Heads of State. The problem was not just the fact that, by this action, the government was fueling illegal forces committing a myriad of Human Rights violations and abuses of power, but it was also disbanding the only legal force in charge of protecting the State Institutions, the FAdH.Forces Armées d’Haiti.This is strongly related to the problem of State absence in the territory, and will have consequences that will be mentioned over this article. Taking such action, mainly Duvalier but all the Haitian governors involved in this practice, would create a status in which force was strictly controlled by the political power, autonomous of the Institutions themselves. This idea is crucial to understanding some of the problems this research is addressing. Because of that, several scholarsDziedzic, Michael and Perito, Robert M. Haiti Confronting the Gangs of Port-au-Prince. United States Institute for Peace. 2008. have explained that, even if they are ostensibly criminal in nature, the gangs of Port-au-Prince were an inherently political phenomenon. There has been a clear political overtone behind gangs in Haiti, which relates to their tight link with political elites, which were using them as an instrument of political warfare. According to Kolbe (2013) this relationship of interdependence between government and gangs has shaped the security situation but also the development of the country. However, in 1986 Duvalier´s dynasty reached an end, leading to turbulent years that ended in the presidency of Salesian priest Jean-Bertrand Aristide. The new President managed to bring political stability in 1991, and since Duvalier was strongly related to voodoo magic, the idea of a catholic President reinforced the dichotomy with Duvalier, giving more legitimacy to the newly elected Head of State. However, even though Aristide took office with the intention of reverting Duvalier practices, he would end up using his own armed gangs. Bands called were called chimères, after a mythical fire-breathing demon that was called bazes among the locals. In February 2004 Aristide started losing support and people claiming his resignation gained force. As a consequence, he had to resign this month, leaving the country in a situation of extreme volatility, in which the gangs were a considerably stronger group of young uneducated boys heavily armed and without any possibility to insert themselves in the formal economy. In this context, the situation in Haiti was presented as a threat to international peace and security, and the UN Security Council considered an intervention in the island as a Multinational Interim Force (MIF - Resolution 1529). The MIF was deployed in February, and was present until April 2004 when MINUSTAH was formally deployed in the ground. During this period, from 2004 to the general elections in 2006, MINUSTAH had to start taking actions in order to protect the civilian population from the several threats illegal armed groups were posing to them. However, confronted by non-conventional non-state military forces enjoying high – but very localized – social legitimacy, the UN Mission struggled between 2004 and 2007 to embed the use of force in a larger strategy of State consolidation.Cockayne, James. «The Futility of Force? Strategic Lessons for Dealing with Unconventional Armed Groups from the UN‘s War on Haiti‘s Gangs », Journal of Strategic Studies, 2014. The gangs enjoyed great legitimacy, achieving celebrity status in some areas, and appearing on TV while flaunting their impunity. Powerful gang leaders achieved celebrity status, appearing on television while distributing money and stolen merchandise to their followers, assisting the needy with handouts and payment of school fees, and providing entertainment by operating dance halls. Oddly enough, the gangs were more credible than the UN. The high local legitimacy gangs enjoyed in the neighborhoods of Port-au-Prince was opposing the negative image the foreign powers had in the island.Dziedzic, Michael and Perito, Robert M. Haiti Confronting the Gangs of Port-au-Prince, United States Institute for Peace, 2008. This perception was softened once Latin American countries such as Brazil, Chile and Uruguay took control of important contingents within MINUSTAH, the foreign presence was perceived as less hostile by the local community and, therefore, brought more legitimacy to UN action. Latin American troops were capable of creating a more empathetic relationship with the Haitian society, enabling the UN to act in the ground. It was with the support of the Latin American TCC´s that MINUSTAH was able to set up, support the general elections, and in February 2006, René Préval was declared the winner.Fernández Moreno, Marta; Chagas, Carlos; Braga, Vianna; Siman Gome, Maíra. Trapped Between Many Worlds: A Postcolonial Perspective on the UN Mission in Haiti (MINUSTAH). International Peacekeeping. 2012. In 2007 Preval was sworn as President and took a stronger stance toward the gangs threatening security in the country, in which both the government and the UN forces started to take a more robust and offensive posture towards the gangs operating in Port-au-Prince. MINUSTAH enjoyed during this time, the absolute support of the Haitian government. Préval stated at the UN General Assembly 2007, that MINUSTAH was the only realistic and available formula at the time that could enable Haitians to restore freedom and live in peace. In this line, at the beginning of 2007 Préval let MINUSTAH set 8,000 UN peacekeepers on a risky move that would determine the security of the country and the success of his young government. Following this introduction, I will intend to brief on the four main challenges the UN peacekeeping Operation, MINUSTAH, had at the time of dealing with criminal organizations in a context of protection of civilians: misconceived threats at the first deployment; absence of the State and the need for capacity-building; interconnected threats faced by the use of intelligence and a more robust approach; and legitimacy problems for in the field. In order to understand the way in which MINUSTAH was influenced by the action of organized crime, it is crucial to understand how the threats were perceived at the time of the first deployment, at the beginning of 2004. This time of the year was marked by the desertion of Aristide, the request for new elections, but also by an extremely unstable security situation, as armed groups were taking over several Haitian cities on the way to Port-au-Prince. The first foreign deployment was led by a Multinational Interim Force settled in February 2004, through UNSC Resolution 1529 that, even though was approved by the United Nations, was not a UN Mission. In this first deployment, it is possible to see that some actions taken as a response to an older paradigm of foreign interventions, mainly focused on controlling political uprisings.Berdal, Mats & H Ucko, David. «The Use of Force in UN Peacekeeping Operations ». The RUSI Journal, 2015. This can be exemplified by the fact that the MIF deployed battalions across the entire country, overlooking that the main problem for the civilians was the threat posed by criminal gangs based in Port-au-Prince. On the meantime, in this context, the Security Council was seeing how Aristide could not control the forces that used to be loyal to him, witnessing increasing violent demonstrations against the President, in a situation that led to violence and instability. The situation in Haiti was highly volatile years before the scape of Aristide, and it was related to uprisings against the government. Groups such as the Revolutionary Artibonite Resistance Front were formed by both gangsters and former FAdH soldiers, also related to drug trafficking. This group took over several cities at the beginning of 2004 (Gonaïves and Cap-Haïtien among others), seriously threatening the stability of the country and the safety of the civilian population as they marched towards Port-au-Prince by February 2014. The reports from the Secretary GeneralRecord of U.N. Security Council Meeting number S/2004/300 and the documents released by the Council referred to rebel or armed groups with the political will to take over Port-au-Prince, either to combat Aristide government or to support it, and so did the UNSC President while calling for international support. We can observe from this context, prior to deployment, that there was a clear need for immediate action, but that the main threat to the security in Haiti was perceived to be an armed rebellion, with political intentions, which clearly differ from criminal organizations in their means and aims. Once deployed, the MIF did not fully understand the nature of the problem, or the long-term evolution of the instability, as they thought it was another revolutionary movement wanting to take control of the government. This misconception of the threat can be seen in the analysis of the first MIF deployment on February 2004. The forces were deployed to the Center, South and Southeast departments, trying to reach and control the uprisings that were taking place at the time of Aristide´s withdrawal. The MIF was military deployed in Port-au-Prince (battalions from France, the USA, Canada and Chile), but there were also French soldiers from the same Forces deployed in Gonaives and Saint Marcos (North of Port au Prince), in Cap Haitien and in the northern border with the Dominican Republic. The force deployed wanted to protect the population from a situation of anarchy, as it was the case. However, instead they were attacking and containing the political uprising. As it was previously mentioned, the first deployment can be characterized by two main aspects: the urgency to protect civilians and the understanding of a political nature of the uprising. The problems the international presence had understanding the criminal nature of the threats could also be related to the fact that the armed groups recruited former FAdH soldiers mixed with civilians. This strong military component within the armed groups could have been perceived as military groups with political motivations, as it was the case when interviewing a Navy officer deployed in Haiti. This mixed conformation in the gangs would also pose a challenge to MINUSTAH in differentiating between combatants and civilians. Once the MIF was established as a rapid reaction force, Resolution 1542 (April 2004) noted that the situation in Haiti continued to constitute a threat to international peace and security in the region. Place was made for MINUSTAH to be deployed as a multidimensional peacekeeping operation facing more challenges than just the stability of the country. This section highlights the importance of the MIF failing to understand the criminal nature of the IAS´s threatening the civilian population within the Haitian territory. Having analyzed the comments from scholars, diplomats and peacekeepers deployed in the ground, and having read the reports from the UN at the moment, it is possible to find an explanation for this misconception in the tight links between the gangs and the political Haitian systems. Bazes and political leaders would work in such cooperation that once Aristide lost control of his bazes (the Chimères) it was difficult not to see a political veil on a threat that was criminal in nature. The threats to security and stability at the moment of the first deployment were also a consequence of the inability of the State to control its territory. This is why the absence of the State will be addressed in the same section. Once the UN managed to diminish and control the action of the gangs it had to fulfill the vacuum of power created by the absence of the State in the areas where the gangs were operating. The strong presence of gangs in the slums was directly related to the State absence and its lack of capabilities to provide the population with basic services (security and law enforcement). We cannot understand the action of the gangs without addressing the State absence in the slangs of Port-au-Prince. This tight relationship leads also to the importance of MINUSTAH working towards this problem in order to accomplish its mandate. The action of MINUSTAH towards State absence will be seen in the capacity building activities highlighted in its mandates, but also in the work done in coordination with the Haitian National Police. It is possible to see that the relationship between the security problems of Haiti and the lack of State presence in the field is shared among several academics writing on this topic. Some scholars have studiedCockayne, James. Winning Haiti's Protection Competition: Organized crime and Peace Operations Past, Present and Future, International Peacekeeping. 2009. the competition for gaining the monopoly of force among several actors in the Haitian political scheme, highlighting the lack of a strong governmental presence. While the monopoly in the use of force should be held by the government, the State was just another stakeholder in this struggle, competing for the control of territory, assets, weapons and people. This situation would create a new challenge for the Mission, as described by the Deputy Force Commander of MINUSTAH at the time: “We had to go and reduce the gangs in Cité Soleil, but afterwards we had to stay there, we could not leave the situation like this. Otherwise the bands would re-take the territory”. The control of the territory was very important, and so providing the services the gangs were providing before. The vacuum of power needs to be filled, or the problem remains by changing the illegal organization in the area. This situation would increase the responsibilities of MINUSTAH, not just to eliminate the action of the gangs, but to keep their presence in the territory and to avoid the gangs retaking the area. On the other hand, the State absence allowed the gangs to act with total impunity. An interviewed diplomat accredited to Haiti explained that the high number of members the gangs had, plus the inability of the State to control the territory, would allow them to work with impunity, killing and controlling the circulation in the country. They would impose tolls in the route, charge for water access and medicine. The high level of organization of the gangs contrasted with the lack of resources and organization in the Haitian Public Administration. The mandate of MINUSTAH was reflected in 2005, when the HNP started working together with the Mission in combating illegal armed groups in certain operations. Through this process, MINUSTAH would not just work on the pacification of the area but in providing the HNP with the capacities to do it on their own once MINUSTAH had left. After the elections of 2006, the Security Council called the new elected government to work on ensuring a secure and stable environment. To achieve this, it was important to strengthen the democratically elected institutions, foster national reconciliation and create a national dialogue.U.N. Security Council Presidential Statement number 07/2006. In order to grasp this actions, focus should be placed on the coordination between MINUSTAH and the Haitian institutions in the field. Since peacekeepers were not meant to take the place of the government in the territory, once heavily armed gangs were disbanded, MINUSTAH worked closely with the civil society and international NGOs in the field. This is indeed a topic that has not been subject of much study, as scholars mainly focused on the robustness of peacekeeping, but not that much on the expansion of its activities. The awareness of the Council toward the implementation of long term policies to stabilize the country led to joint operations between MINUSTAH and the Haitian National Police (HNP). When MINUSTAH´s mandate was renewed in August 2006, it highlighted the importance of the HNP acquiring the needed capabilities to deal with the Haitian problems by themselves. Resolution 1702 highlighted the aim of MINUSTAH in assisting the Government in the reform of the HNP by supporting the “monitoring, mentoring, training, vetting of police personnel and strengthening of institutional capacities”. The use of clear words such as monitoring, mentoring and training in the text of the Resolution, allows us to see the strong collaboration to rebuild the capabilities of the Haitian Public Administration. It can be argued that creating the required capabilities for the Haitian Government to secure the situation in the field was one of the top priorities of MINUSTAH, and its importance grew as the mission was controlling the immediate action of the gangs. The capacity building was the main long term strategy of MINUSTAH. This idea can be confirmed considering that once MINUSTAH ended its work in 2017, the Council decided to keep its presence in Haiti through a new brand mission named MINUJUSTH (Mission for Justice Support in Haiti), whose main mandate was to assist the Government of Haiti in strengthen rule of law institutions.U.N. Security Council Resolution 2350. April 2017. According to these last actions, it is possible to argue that the future UN presence in the country would be mainly related to the work on State capacity building. After having analyzed the long-term strategies of MINUSTAH to face the State absence in the field, we will try to understand how the bands occupying the territory and threating civilians were faced by MINUSTAH in the short term. In this context, it is important to address the characteristics of the gangs that would influence the modus operandi of MINUSTAH and how was the mission facing them through two main actions: the use of intelligence and a more robust approach. It is possible to consider from the interviews, that the bazes were nothing but occupiers of this vacuum of power created by the lack of State presence. However, at the beginning the leaders of MINUSTAH were unable to calibrate the level of danger and harmful power of the Haitian bazes, due to their ambition of wealth and power, the lack of ideology or political will, and operating in an environment of absolute impunity. This impunity was reinforced by the fact that they were not operating in rural areas nor identified by military uniforms or any other distinction as combatants in conflicts. The bazes operated in urban areas, mixed with local civilians, living with them and encompassing in the normal daily life. Unlike politically aimed movements, criminal organizations have different objectives, such as maximizing profits by performing illegal activities and providing goods that were demanded by society.Varese, Federico. General Introduction: What is organized crime?, Routledge, 2010 . In this scenario, MINUSTAH had to deal with a conflict, not just with two parties being involved, but by different clashes among criminal bands interconnected amidst them. All this settled in an urban context where violence was a consequence of the criminal activity of the IAG.Illegal Armed Groups. The fuel for the criminal organizations came from the drug market, among other sources, even if it was not a highly developed one. The control of drug markets relates to the idea that the bands were seeking short-term objectives according to the circumstances, without a clear long-term aim, without having any religious, ethnic or political agenda. Moreover, at the beginning of 2005, emerging alliances between members of the former military with urban gangs took place, added to connections between elements of the National Police and IAG.U.N. Secretary General Report, 19/05/2005. The high number of actors involved presented an interconnected nature of the threats, which would pose a challenge for MINUSTAH, discerning who was involved in the IAGs and who was not. This blurred situation in which the UN forces and the national police were unable to control and locate the threats led to the need to implement intelligence units in the ground to be fed by a better understanding of the actors. In 2005, MINUSTAH created the Joint Mission Analysis Center (JMAC) with the objective of collecting and analyzing intelligence information about the IAG´s, developing operational and tactical intelligence about mission security threats from whatever sources the mission had at hand.Cockayne, James. «The Futility of Force? Strategic Lessons for Dealing with Unconventional Armed Groups from the UN‘s War on Haiti‘s Gangs », Journal of Strategic Studies, 2014. The relevance of the JMAC relies also in the fact that it was one of the first cases in which a Peacekeeping Operation was using intelligence services (Deputy Force Commander interviewed). This change in the stance of the UN towards the use of more advanced resources is related to what has been mentioned by some scholars as a new generation of multidimensional missions. The gathering of intelligence from the JMAC allowed MINUSTAH to enter the slums, and between December 2006 and February 2007 at least 20 riots were conducted against the gangs of Port-au-Prince, while at least 800 members of the gangs were imprisoned or killed. Since the bazes were unable to renew their leadership they started disintegrating into smaller groups, that would continue carrying on criminal activities, but without the level of harm they had before.Cockayne, James. «The Futility of Force? Strategic Lessons for Dealing with Unconventional Armed Groups from the UN‘s War on Haiti‘s Gangs », Journal of Strategic Studies, 2014. From this perspective, we can argue that the use of intelligence by the JMAC helped the mission in the short term combat against the gangs as it helped generate substantial human intelligence, which in turn allowed for careful preparation of the battle space and innovative, integrated use of limited force capacities. Intelligence on the ground complemented the more orthodox actions of dissuasion through presence taken in any military operation, as explained by one of the soldiers interviewed for this research. All the three peacekeepers agree that the demonstrations of force in the ground we able to transmit the idea that the bands were not unpunished for their actions. External factors helped MINUSTAH succeed in the fight against the bazes. Even though the IAGs were heavily armed, they did not possess the required level of organizations and training the Peacekeeping Operation had. The interconnected nature of the gangs made it difficult for them to take decisions in a hierarchal way and respond rapidly to threats, so after the more important attacks from MINUSTAH they started disbanding and losing support. Moreover, the IAG´s were operating without a clear strategic direction, with weak loyalty links and with no other objective rather than increase the influence in the zone and enrich themselves. Once MINUSTAH started breaking into the slums and attacking the heart of the gangs, the rest would start falling more easily. Besides the use of intelligence in the slums, MINUSTAH took a more robust approach in the attacks to the bazes. In order to understand the reasons for such an action it is important to describe the context in which MINUSTAH and the government decided to take this robust approach towards the action of the gangs. After Préval won the elections, the first action of the government was to negotiate with the bazes, in order to have all parties in the negotiation table. However, the number of kidnappings and public demands for action led to a change in the position of the new President, leading him to state in a televised speech a public ultimatum to the gangs to “surrender or die”. Press article. 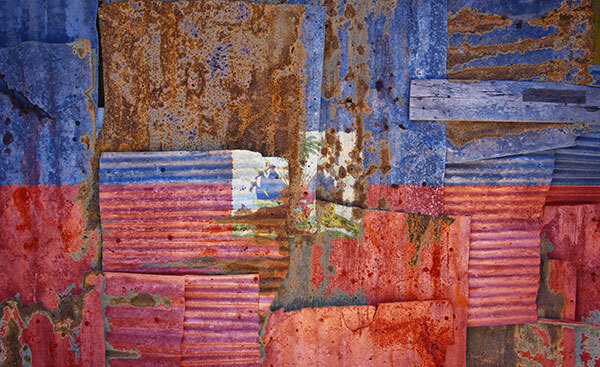 Michael Deibert, « Could the gangs of Port-au-Prince form a pact to revitalize Haiti's capital? » The Guardian, 2015. Online source: https://www.theguardian.com/cities/2015/jul/14/gangs-port-au-prince-haiti-capital-armed-groups-communities (27/05/17). Moreover, the UN Secretariat, through the SRSG Ambassador Edmond Mulet, was also in this line to proceed with a more robust stance, in order to create a perception among the population that the UN was capable of making a difference in their security.U.N. Secretary General Report, 19/05/2005. MINUSTAH needed the people from Haiti to feel they were safe under their presence so trust could be re-gained. The more robust use of force managed to diminish the presence of the gangs in the field.Dziedzic, Michael and Perito, Robert M. Haiti Confronting the Gangs of Port-au-Prince, United States Institute for Peace. 2008. However, this action had to be matched by the reinsertion of the Haitian State authority as it was mentioned before. Finally, the gangs being established in the political scheme for so long would provide them very localized but high social legitimacy, creating a problem for international forces such as MINUSTAH once they needed to use force against the gangs. This is why the following section will address the problem of legitimacy and how MINUSTAH faced such a challenge. Previously we have seen how, with the takeover of Préval as President of Haiti, there has been a switch from a broader strategy that supported the transitional political process, to a more specific duty of targeting and neutralizing criminal organizations in Port-au-Prince. However, at the same time MINUSTAH was protecting the civilian population, it had to work on how to gain legitimacy on the ground, so the population would not perceive them as the enemy, considering legitimacy as the right to govern or the belief that a rule, institution, or leader has the right to govern.Hurd, Ian. Legitimacy from Encyclopedia Princetoniensis. Available Online: https://pesd.princeton.edu/?q=node/255 27/05/17 For that purpose, the Council requested MINUSTAH, in all its resolutions, to maintain a proactive communication and public outreach strategy with the objective of improving the public understanding of the mandate and the role of MINUSTAH in Haiti. Several scholars have written on the high level of legitimacy of the IAGs in the ground,Schubert, Moritz. A transformation from political to criminal violence? Politics, organized crime, and the shifting functions of Haiti‘s urban armed groups, Conﬂict, Security & Development, 2015. while others have faced the perception local population had from international interventions, linking them to previous colonial intromissions that shaped the country in the past.Fernández Moreno, Marta; Chagas, Carlos; Braga, Vianna; Siman Gome, Maíra. Trapped Between Many Worlds: A Postcolonial Perspective on the UN Mission in Haiti (MINUSTAH), International Peacekeeping, 2012. This idea was exacerbated by the bazes that would use and reinforce this image of MINUSTAH as a colonial power, posing a problem to the troops and police on the ground. Moreover, gang leaders had garnered support from the local population, even achieving celebrity status in the streets. As MINUSTAH was military gaining territory in the neighborhoods controlled by the gangs in Port-au-Prince, public support over the population needed to be earned in order to bring State authority inside the slums. This is why MINUSTAH got engaged in more deliberate political maneuvers designed to weaken the gang leaders and their local support. By taking control of major roads, removing debris and garbage, opening dialogue with civil society groups and local residents where possible, and attempting to rebuild markets.Schubert, Moritz. A transformation from political to criminal violence? Politics, organized crime, and the shifting functions of Haiti‘s urban armed groups, Conﬂict, Security & Development, 2015. The UN developed projects with the objective of showing the residents an alternative to trusting the bazes when they needed basic services. From both, the interviews carried on and the reports of the Secretary General, we can state that the strong action of the Mission in Port-au-Prince, brought higher security to the city therefore increased the perception among the population that the blue helmets were on their side. However, the diplomat interviewed for this research also noted that the extremely robust actions taken in the slums provoked civilian victims that could have been avoided, decreasing up to a certain point the favorable image of MINUSTAH. Along this article we have reviewed the main aspects in which organized crime has influenced the action of the peacekeeping operation deployed in Haiti, considering that, unlike actors in a civil war, the action of criminal organizations challenged the way peacekeeping operations were acting until then. The purpose of this study is based on the fact that the actors involved in the Haitian conflict differ from the ones in other places where there are other UN Missions deployed. In this case, threats were coming from armed groups without any political motivation and acting in areas that lacked State presence. The lack of a political background for the violence on the island provides an insight into how a situation of criminalized peace can engage and confuse the international community taking action towards peace and stability. In this environment, the nature of the actors involved would obstruct the implementation of peacekeeping mandates from the start of the deployment by operating in blurred urban scenarios, in which MINUSTAH could not clearly identify the object they intended to neutralize. From the analysis in this study, it is possible to assert that the MIF misunderstood the nature of the threats, deploying a Force with the intention of fighting a political uprising. The strong relation between the criminal organizations and the political power made it difficult for a foreign organization such as the United Nations, to understand that even if the gangs were attacking the government at this moment, they had no ideological background, and were therefore criminal in nature. The root causes of the violence and instability were criminal armed groups, so there was no political background to the crisis. Moreover, the lack of State presence made it harder to fight the gangs, as they were providing the services the State should have provided to the population, adding to the perception of their highly localized but strong legitimacy. This context was aggravated by the negative perception Haitian citizens had about foreign interventions in their territory. A history of foreign interventions aiming at controlling the country left, amidst the population, the notion that any external force acting on the island was not worth trusting. In this analysis of the actions taken by MINUSTAH in order to face the challenges mentioned above, we have noticed that the Peacekeeping Operation struggled while doing the transition from the MIF to MINUSTAH itself. However, during 2004, the mission leaders realized the importance of striking at the main slum (Cité Soleil) where the gangs were based. The Mission used a robust approach to strike, based on the intelligence gathered from the JMAC, which proved to be useful considering the urban environment and the characteristics of the bazes. The criminal nature of the threat could lead to confusions between civilians living in the slums and the ―combatants‖ forming parts of the gangs. This is why the use of a JMAC allowed MINUSTAH to be more assertive in the main attacks against the gangs. The following challenge faced by MINUSTAH was related to the actions that had to be taken once the gangs were military defeated and their area of influence had to be covered by the State. The lack of State presence led the Mission to start fulfilling this gap by working on capacity building and training police officers from the HNP. For this very reason, the importance of having police officers (both from MINUSTAH and from the HNP) was highlighted in the research. In this context, military officers from the Mission had to coordinate actions with the Police Units, presenting challenges to the more orthodox peacekeeping schemes. This work had to be complemented by the support of NGOs which filled the void left by the State, creating also new challenges for the MINUSTAH military officers. We can see that the work of capacity building is still incomplete, considering that with the withdrawal of MINUSTAH in 2017, the UN left another Mission in place named MINUJUSTH, whose objective is to continue to work on capacity building on the judicial system and the National Police. It is possible to argue that building the required capabilities for the Haitian State was one of the top priorities for MINUSTAH; that its importance grew as the mission was increasing its control over the territory; and that this remains a main priority to the United Nations to date. Finally, while MINUSTAH was military gaining territory against the bazes, it was fundamental to earn the popular support in the neighborhoods, showing the importance of having the gangs neutralized in order to achieve peace and to settle a proper government controlling the streets of Port-au-Prince. This is why MINUSTAH engaged in deliberate political maneuvers designed to undermine the local support of the gangs; by taking control of major roads, removing debris and garbage, opening dialogue with civil society groups and local residents, and attempting to rebuild local markets. To conclude, MINUSTAH succeeded in certain aspects of adapting itself to the challenges and threats posed by the gangs. First of all, the Mission recognized the need for a more robust and targeted approach in the slums of Port-au-Prince, mainly in Cité Soleil. Secondly, the use of intelligence units allowed MINUSTAH to face, to a certain extent, the problem of the blurred difference between combatants and civilian population. Thirdly, the work on capacity building was one of the most important challenges for the mission considering its results cannot be seen in the short-term. However, the United Nations excelled at finding the root causes of the problem of State absence. Finally, MINUSTAH addressed the legitimacy problems faced at the beginning of the deployment by using a strong communication strategy, carrying out activities of logistical support and civilian protection that provided the mission with higher respect. The presence of Latin American troops deployed in the field has also proven to be helpful in order to provide the mission with a greater level of legitimacy. The lessons learned in this case could be helpful for future cases in which the international community is intervening in order to keep or build peace in an environment mainly attacked by threats posed, not by politically aimed movements, but criminal organizations. Andreas, Peter and Nadelmann, Ethan, Policing the Globe: Criminalization and Crime Control in International Relations (Oxford: Oxford University Press, 2006). Bethell, Leslie. Historia de América Latina. (Spanish for “Histoiry of Latin America”) Grupo Planeta. 2000. Berdal, Mats & H Ucko, David. The Use of Force in UN Peacekeeping Operations. The RUSI Journal. 2015. Bove, Vincenzo and Ruggeri, Andrea. Kinds of Blue: Diversity in U.N. Peacekeeping Missions and Civilian Protection. British Journal of Political Science. 2015. Cockayne, James. Winning Haiti's Protection Competition: Organized crime and Peace Operations Past, Present and Future. International Peacekeeping. 2009. Cockayne, James. The Futility of Force? Strategic Lessons for Dealing with Unconventional Armed Groups from the UN‘s War on Haiti‘s Gangs. Journal of Strategic Studies. 2014. Dziedzic, Michael and Perito, Robert M. Haiti Confronting the Gangs of Port-au-Prince. United States Institute for Peace. 2008. Fernández Moreno, Marta; Chagas, Carlos; Braga, Vianna; Siman Gome, Maíra. Trapped Between Many Worlds: A Postcolonial Perspective on the UN Mission in Haiti (MINUSTAH). International Peacekeeping. 2012. Finckenauer, James. ―Organized Crime, on The Oxford Handbook of Crime and Public Policy. Edited by Michael Tonry. Oxford University Press. 2015. Hultman, Lisa. UN peace operations and protection of civilians: Cheap talk or norm implementation? Journal of Peace Research. 2012. Naim, Moises. Illicit: How Smugglers, Traffickers and Copycats are Hijacking the Global Economy (New York: Doubleday, 2005). Schubert, Moritz. A transformation from political to criminal violence? Politics, organized crime, and the shifting functions of Haiti‘s urban armed groups. Conﬂict, Security & Development. 2015. Sheeran, Scott & Willmot, Haidi. The protection of civilians mandate in UN Peacekeeping Operations: reconciling protection concepts and practices. International Review of the Red Cross. 2013. United Nations - Department of Peacekeeping Operations. Handbook on United Nations Multidimensional Peacekeeping Operations. 2003. United Nations - Department of Peacekeeping Operations / Department of Field Support. United Nations Peacekeeping Operations. Principles and Guideline. (The Capstone Doctrine). 2008. Williams, Phil and Godson, Roy (2002), Anticipating Organized and Transnational Crime‘, Crime, Law & Social Change, Vol. 37.